It was for European galloper, Style Is Eternal (pictured), who produced strong win at Avondale today over 2100m after an unlucky first up performance at Waipa last month. 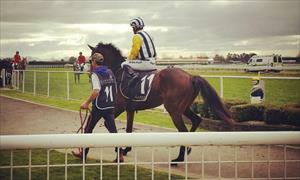 Premiership leading jockey Matthew Cameron once again partnered the daughter of champion sire Monjetu and got into a lovely position in the running, six back and one off the fence, and from the 700m she looked the goods. Letting her roll from the 700m mark, Cameron pulled to the outside where he received a clear run down the outside and once the pair hit the front down the straight it was all over – Style Is Eternal passing the post with more than 2-1/2 lengths back to the second placed runner. Style Is Eternal is from Champion Italian 3YO Fashion Statement and was purchased by Paul Moroney Bloodstock from the 2013 November Breeding Sale in Europe in 2013. Congratulations to owners R R Peel-Walker & M J Wyborn and all connections concerned.